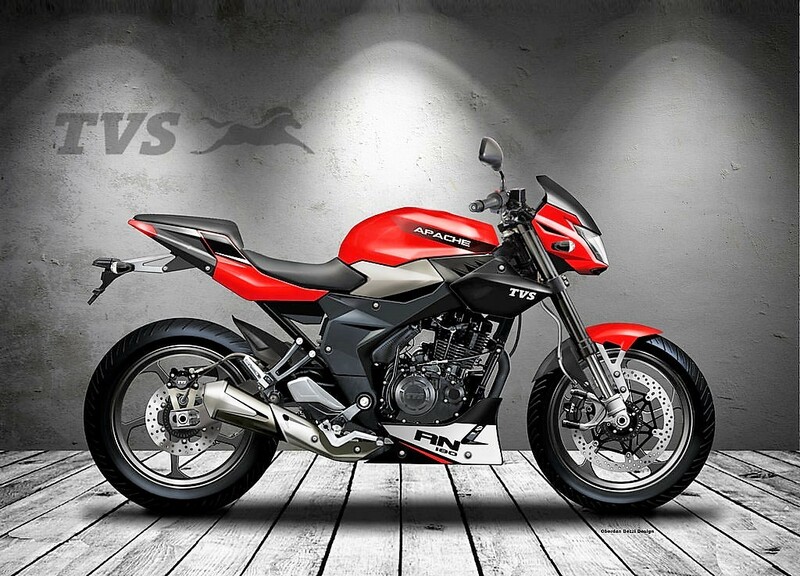 4 Mind-Blowing RTR 180 Concept Renderings: Digital rendering artist Oberdan Bezzi is back with his newest presentation, digitally rendering the famous TVS Apache RTR 180 into four mouth watering concepts. The motorcycle is waiting for an update from a long time. 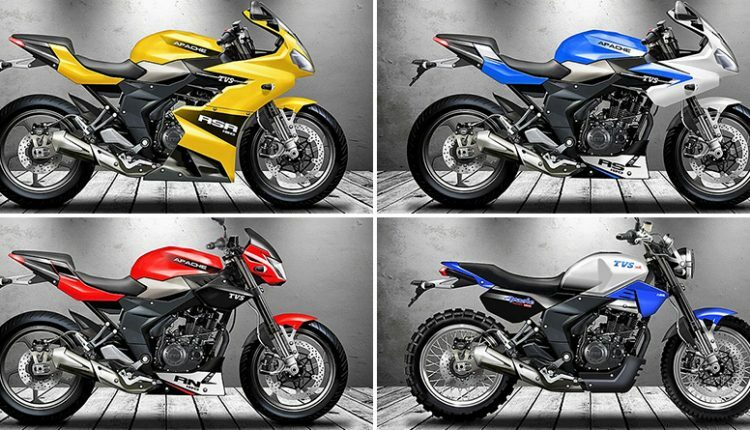 If TVS considers breaking down the segment into specific utility purposes, these could be the best possible outputs from the design team. Keeping the body panels same in most designs, Oberdan Bezzi has imaged the same as fully faired, semi faired, naked and off-road friendly machines in his renderings. 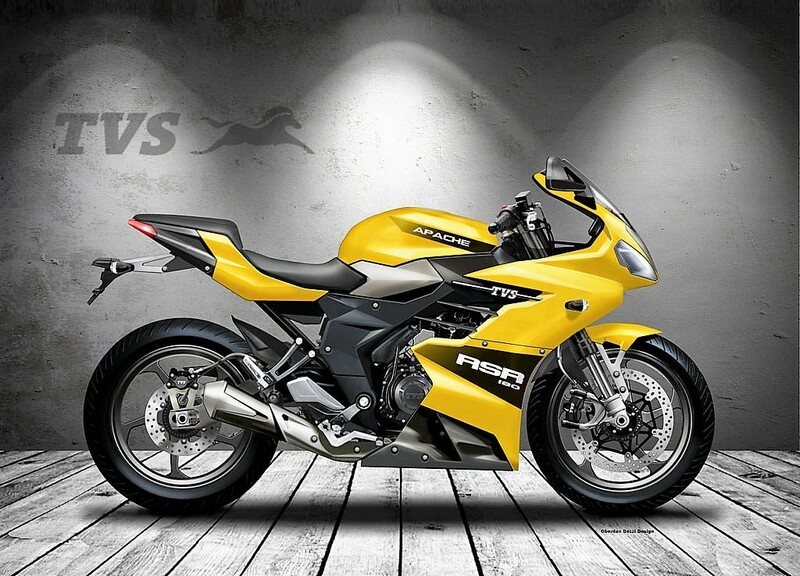 The fully faired version is named RSR 180 and comes with dual headlight design, uniform side fairing, short sporty exhaust, sharp rear end and dual disc brakes. The RS 180 Concept loses the fully faired body and replaces the same with semi fairing. 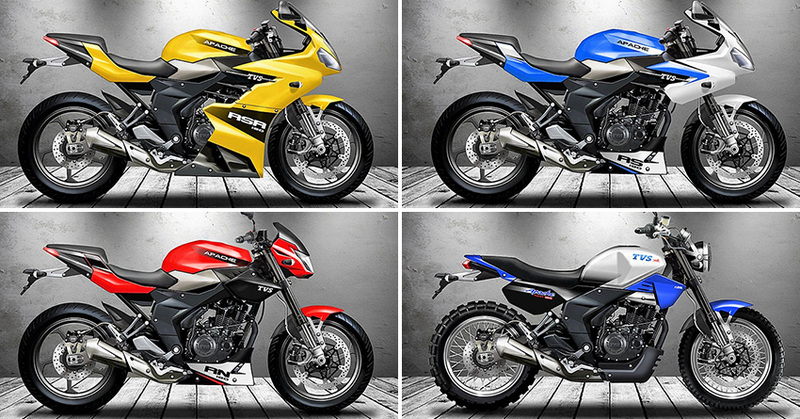 It can be compared with the differences being witnessed in Hero Karizma R and ZMR. Apart from that, the motorcycle was even imaged as RN 180, carrying a naked body with small front fairing and minor tank scoops. Everything else remains the same as other two concepts. 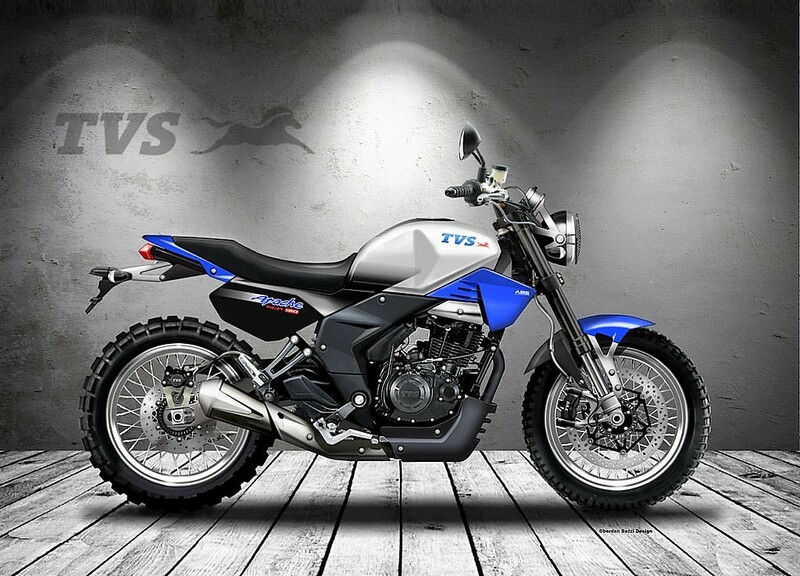 The fourth concept SCR 180 is quite different as it is based on an off-road friendly frame, fitted with spoke wheels and dual purpose tyres. The clearance under the body is more while the seat is straight and most comfortable out of all concepts. The typical round headlight is also seen on the motorcycle. 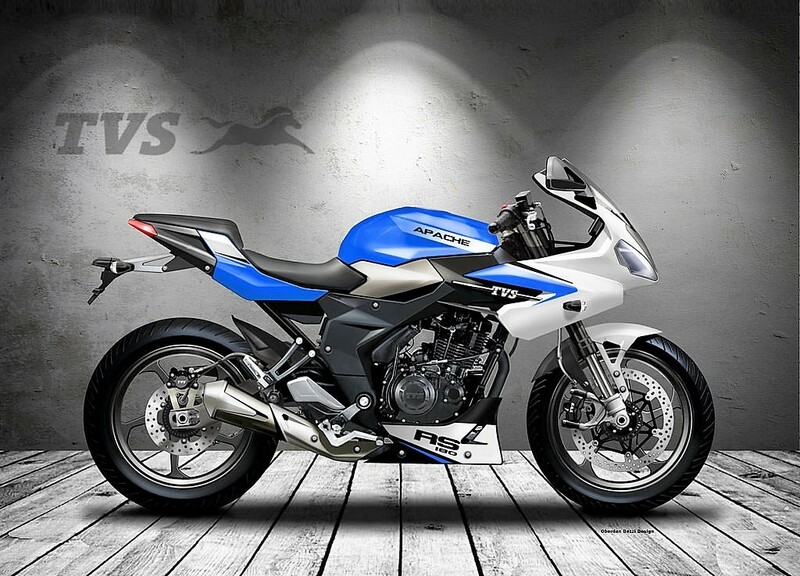 All the concepts are using USD front forks and rear monoshock, making them exactly the opposite ones as the stock suspension components on TVS Apache RTR 180. The current generation of Apache RTR 180 is offered with optional ABS.